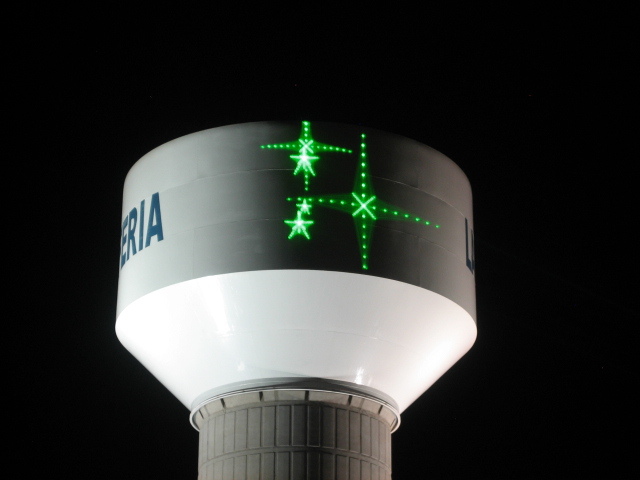 Lasers on a Water Tower | Laser Spectacles, Inc.
Laser Spectacles has had several calls over the years for projecting lasers onto water towers (community water storage tanks). 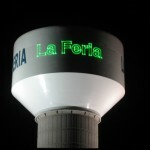 These are large, tall, and usually painted white, forming a great projection surface for laser light shows. We have even used them for our main projection surface at some shows. 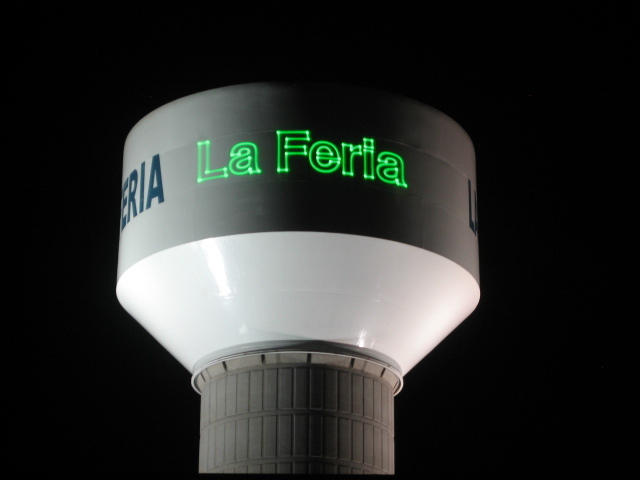 We decided to bring a three watt YAG laser system on a recent trip to the Rio Grande valley and demonstrate lasers on the water tower of a local community that expressed interest in a display on their new water tower. Even though the lights were on the tower, the results were spectacular! 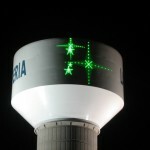 The display was clearly visible from the adjacent highway, creating great possibilities for laser communication of a variety of messages.